Our bodies are built with natural detoxification systems to help maintain a sense of balance or homeostasis. This ensures that we maintain a body environment that our cells can survive within. These built-in detoxification systems can come in many forms and work collectively. The problem is that our detoxification systems have limits. Our systems can only handle so much stress until they become exhausted. Think of the car driving down the road putting out black smoke. The problem with humans is that we don’t necessarily see the black smoke. It may show its ugly face with GI distress, or skin irritations, infections or illnesses, or possibly autoimmune or other disease. I like to think of detoxification in the form of building code. As long as your home’s kitchen sink is up to building code, you should be able to leave your faucet on maximum force and not worry about your sink overflowing. The rate at which water is dispensed from the faucet down through the drain should match the water volume coming out of the faucet. I like to think of the human body, physiology, metabolism and weight management in this context. For the most part, humans should be able to maintain an ideal weight for their optimal levels of health. However, just as grease and soot may clog your kitchen sink and drain, certain lifestyle choices or physiological inefficiencies can clog our drains, requiring a clearing. Some of these lifestyle choices may lead to a quick clog and some may be a slower build-up. Some clogs may just need some enzymes. Some clogs may need Draino. And some clogs may need a professional. Often, we hear that we need to stop eating as much or start exercising more to reach or maintain a desired weight. This is a big problem. People suffering from weight management issues are automatically labeled as overeaters or lazy. If we associate this judgment in respect to the kitchen sink, we simply conclude that the person is forcing more water than the drainage can handle. This suggests you turn the water flow down (decrease caloric intake) or start bailing water out of the sink (burning calories). Much easier said than done. Both options are problematic in that they are not always sustainable. Think of being in a chronic state of famine or having to bail water every moment of the day. Most likely there is a point in time that the program fails. Calorically restrictive diets do not last. And often, new workout plans fail. These are very hard life changes and understandably are hard to maintain. What if there was another thought process? How about a plan that was based on training smarter rather than harder? How about instead of looking at the symptom we look about the cause? Maybe a plan that is geared towards not holding someone accountable but deeming them capable. One that didn’t create a dependency but encouraged empowerment. What if, instead of the unsustainable changes of famine and burning high amounts of calories, we simply restore the drain and plumbing back to building code. We just need to be efficient again. What factors in our lives determine the efficiency of our drainage systems? Everyone has their own recipe for successful weight management. 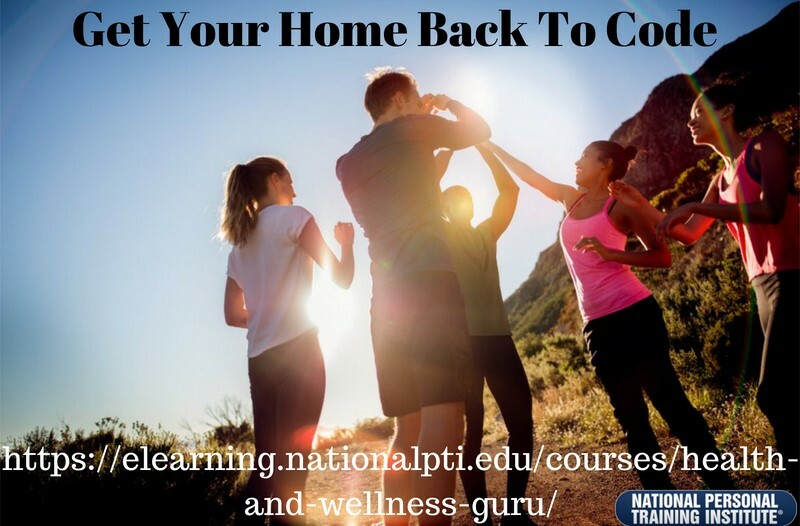 For more information go to https://elearning.nationalpti.org/ and check out our Health and Wellness Guru Course. We promise an enlightening and mind-blowing ride. By the end you will have a resounding advantage in helping guide your clients to optimal health and wellness. suscipit mi, mattis commodo ut risus. ante.